Obviously, our little boy is looking to make a great headstart someday. 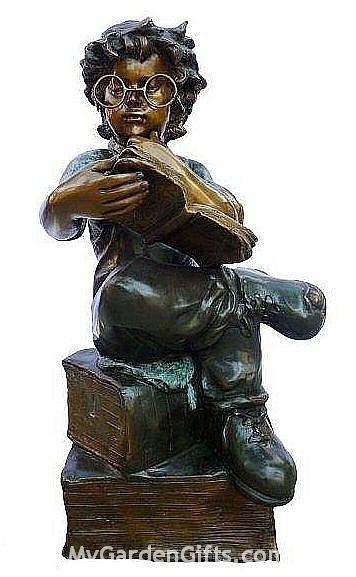 This sculpture adds a wonderful statement for a home or garden or a school library. Dimensions: 30"H x 16"W x 16"
A little girl does not seem to get enough off her books in this adorable bronze sculpture of a reading girl.